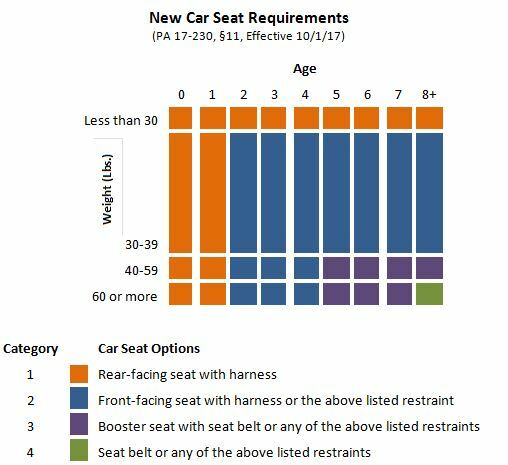 The new law increases the age and weight thresholds for car seats and generally requires that car seats be equipped with five-point harnesses. In line with research that shows rear-facing car seats to be safer for children, children under the age of two or under 30 pounds must be in a rear-facing seat. Under this law, there are four categories based on a child’s age and weight, and each category provides one or more car seat options. I'm proud that Connecticut is making children's safety a priority by basing our standards on the most up-to-date research. If you have questions about these new requirements, please don't hesitate to reach out to my office.